Through my work with Elisabeth Kübler-Ross and my time learning directly from Mother Teresa, I have helped thousands of people face life and death with peace, dignity and courage. But nothing could prepare me for the loss of my own son in 2016. We often need help navigating the difficult terrain of grief and loss, and the holidays can be a more challenging time for those in grief. That's why I created this free video where I share my tools and strategies for grief and the holidays. 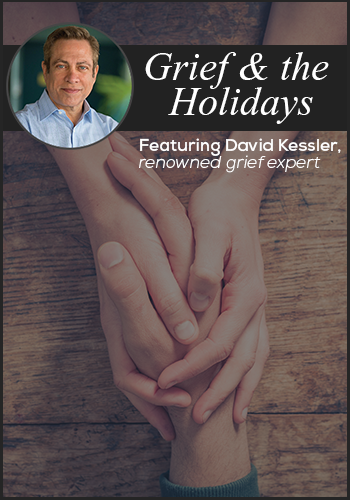 Whether you've recently experienced a loss of your own, or you're a clinician looking for ways to help those mourning a loss find peace and comfort during the holidays, I encourage you to watch and share this free resource. Please enter your email below to watch instantly! Please watch and share this free resource!